This is the third and final trip to the Troyer farm as part of the Amish Cooking Class series, and it is sad to see it come to an end. While this book could be read as a standalone, it is best to read them in order to gain a greater appreciation of the series, and there are some carryover characters. 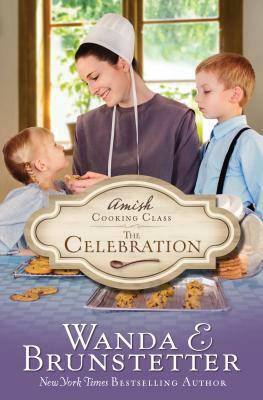 This installment takes a slightly different approach than the first two, as the cooking class participants are children (though their parents are involved, as well). Serious topics, such as bullying, loss/grief and adoption, are skillfully addressed and woven throughout the tale. The attitude and dialogue of the children are realistic, and it is great to see the growth of those characters, particularly Kassidy. The story reminds readers that everyone has problems, there is no such thing as a perfect family and it is possible to have compassion for others.